on rear of base: C (copyright) D.C.FRENCH / QIAV GORHAM CO. Cast 1932 by the estate of the artist [d. 1931]. Private collection(s). (Sale, Christie, Manson & Woods, New York, 21 June 1978, no. 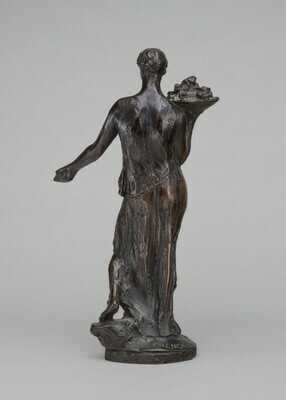 168, as "Narcissa", A Bronze Allegorical Figure); Mr. and Mrs. Robert Hilton Simmons, Arlington, Virginia; gift 1987 to NGA. Sculpture: An Illustrated Catalogue. 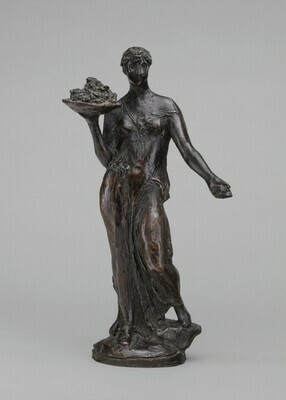 National Gallery of Art, Washington, 1994: 95, repro.